I previously studied fine art printmaking at Sheffield Hallam University, specialising in intaglio and photo-etching and I’m currently finalising my postgraduate studies in textile print innovation at Nottingham Trent University. Between these courses I have focused on arts education and am presently a senior print technician at NTU. My printmaking covers a range of scales, from combinations of monolithic shape to fine surface detail, which are developed through multiple processes on paper and fabric. 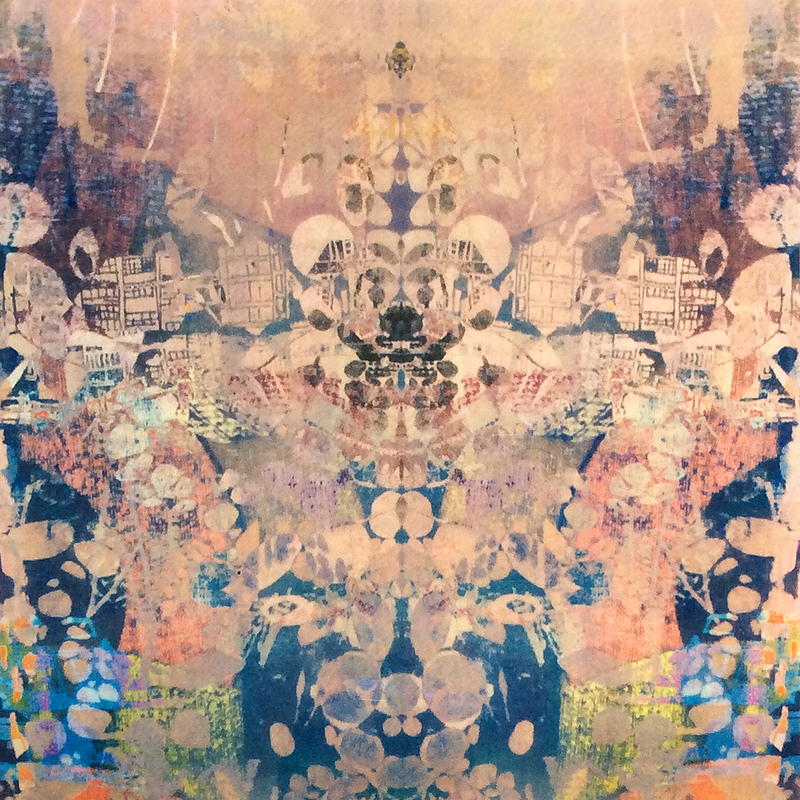 Displayed in the Derby Print Open 2018 are two examples of screen-printed four-colour separations completed by hand that originated from textile imagery. The texture of the canvas can be seen close-up within the layers. 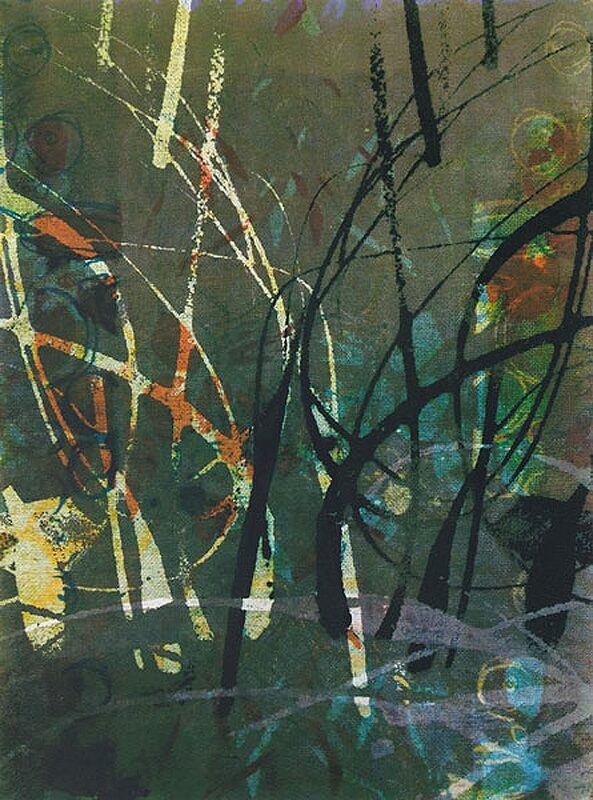 My printmaking encourages the cross-over and experimentation between paper and textile print, developing imagery with the least amount of digital processing possible; which also promotes slow-design and instinctual creative processes. I recently collaborated with Jude Dennis of Second Sitters upholstery, to create a piece for The National Centre for Craft and Design in Sleaford. In April 2018 the Textile Society awarded my current project a postgraduate bursary award, with which I am funding a print installation for the ‘Mastered’ show at Nottingham Trent University in July.